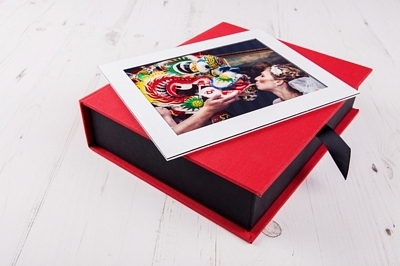 Portfolio Boxes provide the perfect way to present your prints, either mounted or un-mounted, to your client. Each box is approximately 60mm in depth allowing you to store up to 15 mounted prints or approximately 200 un-mounted prints. These have been hugely popular in the baby & boudoir market and being able to create your bespoke box means there is a great potential to create something personalised for you or your customer needs.